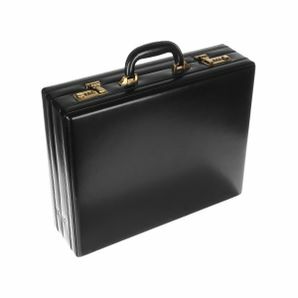 The Black briefcase is a pretty dapper and professional activatable artifact that contains loads of treasures inside! However, there's probably a good chance that it does not include any business documents or classified information. Instead, the briefcase might have some goodies that may or may not be as equally awesome as receiving a weapon of mass destruction. Opening the briefcase requires 0% God power. The Hero may receive good, possibly great artifacts, really unwanted nasty artifacts, or a mixed bag of both. How's that for exciting? Of course we don't want you to get too excited because you might just get a bunch of junk. In any case you don't get to keep the black briefcase, it will just be gone.